White Pants: I actually made these and I will be listing them on the site real soon! Check my Instagram Highlight for BTS from fashion week and all my other looks! From sleeves, to cuffs, to ankles, fur is big trend this season and small hints of it add a conscious sense of opulence to every outfit. As a rational human being I am against the use of animal skin and parts for fashion purposes so I fully endorse this FAUX trend. They only thing more trend than FAUX this season is probably the Glenurqhart check and #Beychella but we'll get to that. THIS SEASON'S BIGGEST FAD: THE GLENURQUHART CHECK! AND THE STRIPE! Everywhere I look all I see is CHECKS CHECKS CHECKS. This season is check crazy although I believe this is much more of a fad than a long lasting trend. 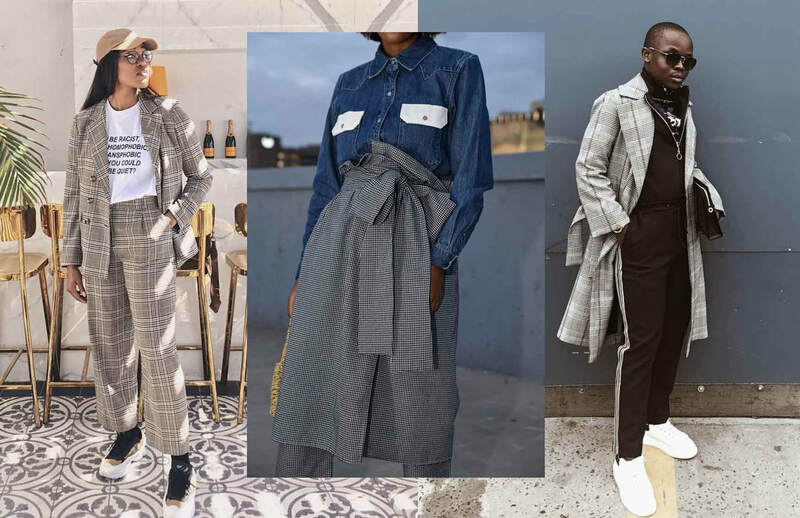 The Glenurquart Check is the headliner in this trend and what started out as small hints of it in blazers and pants has quickly escalated into full blown matching tailored and non-tailored looks of plaid, checks and stripes! Match your checks or mismatch them, this trend as all about mixing and matching. 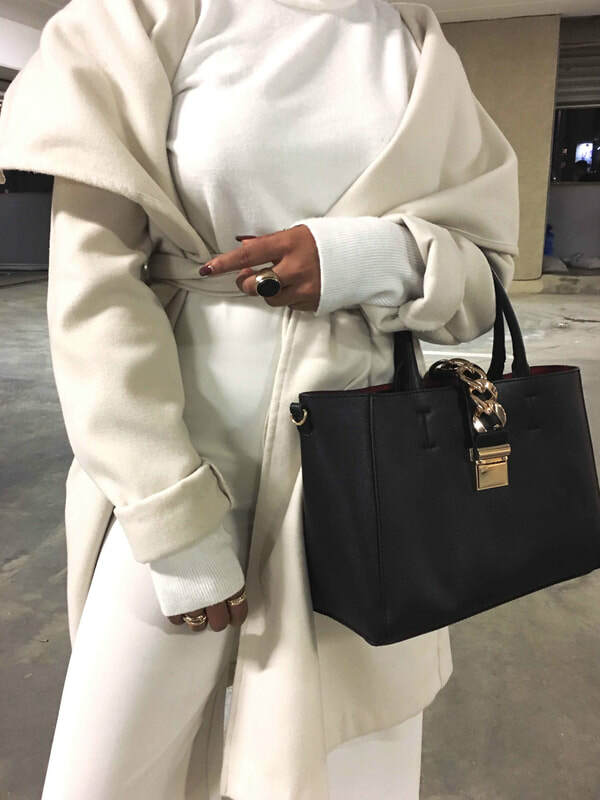 Coats are the ultimate "I'm channeling my inner Olivia Pope" accessory. South Africa's temprementla weather doesn't always allows for us to bask in all the glory and potential of layering and coating but using coats as a throw over, makes for the perfect morning warmer and lunch time accessory. This winter I think we're moving more towards structured coats as opposed to those with falling collars, in neutrals, greens, reds, fur, stripes and checks. Purple is that good guy who takes you to church on dates and your mom likes and keeps telling you, you should marry. Red is that SNACCKKK who loves fast cars and going out and you can't stop thinking about. We know purple is supposed to be this years color but red IS DOING THE DAM THINGS! [fire emoji ;p]. These full red looks are trending this season and I don't think this trend is going anywhere this year. Make sure to stock up like a rapper with stock, on some red pieces this season! Like diamonds, suits and tailor wear is here forever. Dull black, blue and brown suits are so 50's. Fashionable men are always complaining to me that there isn't enough options in silhouette and color for them. Whilst I'm not encouraging you to wear a skirt- which would actually be the most fashion forward things for any guy to do, cue Jaden Smith... Playing around with color and accessories is the direction that casual menswear is going into. 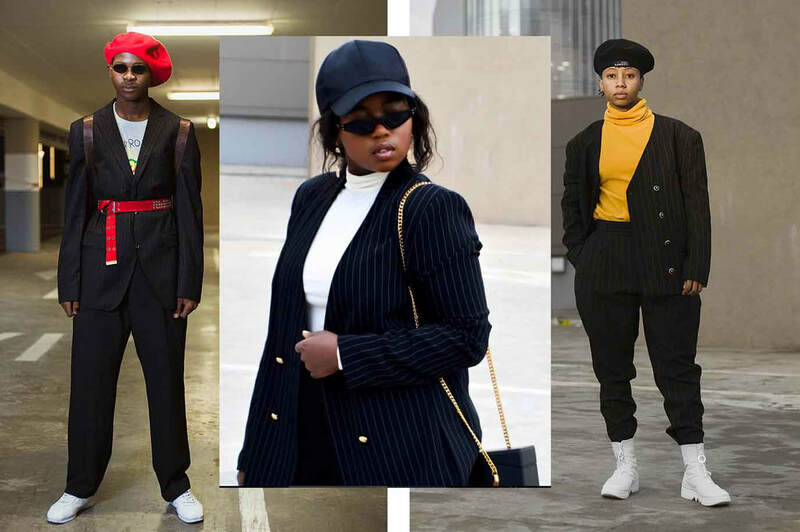 Menswear doesn't see the same waves of trends the way women wear does and for this reason I don't believe this is a trend, this is more an evolution of where menswear is heading to, and WE'RE LOVING IT! If you're like me and you're a girl but the lure of menswear is more attractive than men than you can also embrace the changing styles of menswear.